For most people (read: anyone with a winter), summer is a time to be outdoors. Here in Miami, however, it’s so hot that we usually only go outside if something is really worth it... like, a yacht. OR these summer outdoor concerts. From '70s classics and hard rock, to rap, country, and even an a cappella group, these must-see shows will keep your summer in MIA cool... or as cool as it can be, anyway. Third Eye Blind: Summer Gods Tour w/ Special Guests Silversun Pickups It’s definitely going to be a semi-charmed kind of Friday. 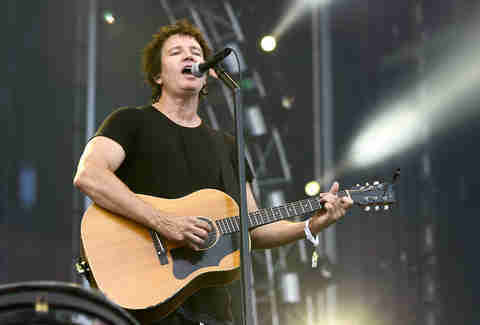 Third Eye Blind: Summer Gods Tour w/ Special Guests Silversun Pickups Klipsch Amphitheater at Bayfront Park It’s definitely going to be a semi-charmed kind of Friday. Dierks Bentley What The Hell World Tour 2017 Dierks Bentley, Cole Swindell, and Jon Pardi? Hell yeah! Dierks Bentley What The Hell World Tour 2017 Perfect Vodka Amphitheatre Dierks Bentley, Cole Swindell, and Jon Pardi? Hell yeah! Rise Against & Deftones Go for the punk rock and metal hits, and stay for the cheap beer and 30-somethings reliving their high school days. Rise Against & Deftones Klipsch Amphitheater at Bayfront Park Go for the punk rock and metal hits, and stay for the cheap beer and 30-somethings reliving their high school days. Chicago & the Doobie Brothers Because they’re the inspiraaaaaaation. Chicago & the Doobie Brothers Perfect Vodka Amphitheatre Because they’re the inspiraaaaaaation. Vans Warped Tour Presented By Journeys Mosh pits, heavy metal, and rock followed by more mosh pits, heavy metal, and rock. Vans Warped Tour Presented By Journeys Perfect Vodka Amphitheatre Mosh pits, heavy metal, and rock followed by more mosh pits, heavy metal, and rock. Sam Hunt 15 In A 30 Tour featuring Chris Janson, Maren Morris & Ryan Follese This show is part of the 2017 Country Megaticket, so get ready for country. Followed by significantly more country. 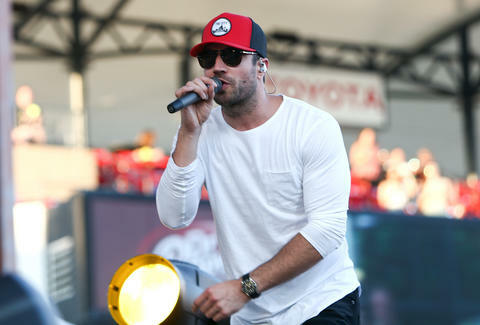 Sam Hunt 15 In A 30 Tour featuring Chris Janson, Maren Morris & Ryan Follese Perfect Vodka Amphitheatre This show is part of the 2017 Country Megaticket, so get ready for country. Followed by significantly more country. Grammy Award nominee Styx, ex-Eagles guitarist Don Felder, and REO Speedwagon: the band that just can’t fight this feeling. 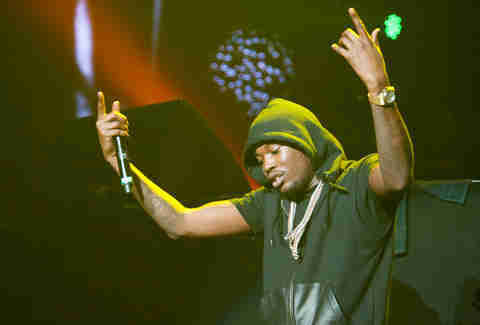 Meek Mill & Yo Gotti: Against All Odds Tour Meek Mill and Yo Gotti? Yo gotti go to this. Meek Mill & Yo Gotti: Against All Odds Tour Klipsch Amphitheater at Bayfront Park Meek Mill and Yo Gotti? Yo gotti go to this. Logic Presents: Everybody's Tour Expect Logic, Joey Bada$$, and Big Lenbo. Logic Presents: Everybody's Tour Klipsch Amphitheater at Bayfront Park Expect Logic, Joey Bada$$, and Big Lenbo. Lady Antebellum: You Look Good Tour 2017 ... because it’s half past 7, and you need them now. Lady Antebellum: You Look Good Tour 2017 Perfect Vodka Amphitheatre ... because it’s half past 7, and you need them now. Prince Royce - FIVE TOUR Debuting in 2009, Prince Royce has quickly become a Latin sensation, topping charts with hits like "Corazón Sin Cara" and "Stand By Me." Prince Royce - FIVE TOUR Klipsch Amphitheater at Bayfront Park Debuting in 2009, Prince Royce has quickly become a Latin sensation, topping charts with hits like "Corazón Sin Cara" and "Stand By Me." Double Feature: Straight No Chaser/Scott Bradlee's Postmodern Jukebox You’ll want to drive up to Boca to see these two YouTube sensations -- one is an a cappella group best known for its mindblowing renditions of Christmas tunes and the other is a rotating music collective with viral covers of Macklemore & Ryan Lewis, Miley Cyrus, Lady Gaga, and more. Double Feature: Straight No Chaser/Scott Bradlee's Postmodern Jukebox Mizner Park Amphitheater You’ll want to drive up to Boca to see these two YouTube sensations -- one is an a cappella group best known for its mindblowing renditions of Christmas tunes and the other is a rotating music collective with viral covers of Macklemore & Ryan Lewis, Miley Cyrus, Lady Gaga, and more. Wednesday Matchbox Twenty & Counting Crows: A Brief History of Everything Tour Your Wednesday just got cool again: These two '90s bands are coming to Miami to rock out with their greatest hits. Wednesday Matchbox Twenty & Counting Crows: A Brief History of Everything Tour Perfect Vodka Amphitheatre Your Wednesday just got cool again: These two '90s bands are coming to Miami to rock out with their greatest hits. Jason Aldean: They Don't Know Tour 2017 But we do know now. And Grammy Award-winning Jason Aldean is back in town to give us a little more summertime. Jason Aldean: They Don't Know Tour 2017 Perfect Vodka Amphitheatre But we do know now. And Grammy Award-winning Jason Aldean is back in town to give us a little more summertime. I Love the '90s Tour Everyone loves the ‘90s. I Love the '90s Tour Pompano Beach Amphitheatre Everyone loves the ‘90s. 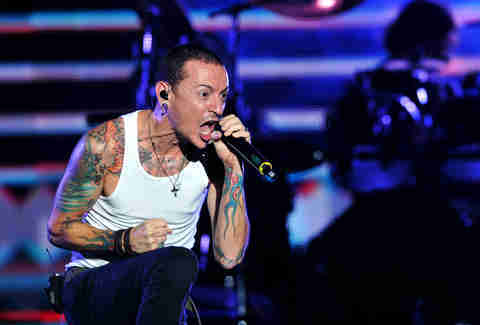 Linkin Park: One More Light World Tour featuring Machine Gun Kelly Come see one of the most popular American rock bands from the '90s, and also a 27-year-old white rapper from Cleveland! Linkin Park: One More Light World Tour featuring Machine Gun Kelly Perfect Vodka Amphitheatre Come see one of the most popular American rock bands from the '90s, and also a 27-year-old white rapper from Cleveland! Lifehouse & Switchfoot: Looking for Summer Tour Two early aughts rock bands? You were meant to live for this show. Lifehouse & Switchfoot: Looking for Summer Tour Klipsch Amphitheater at Bayfront Park Two early aughts rock bands? You were meant to live for this show. Goo Goo Dolls: Long Way Home Summer Tour with Phillip Phillips “Iris.” “Slide.” “Name.” An American Idol who’s going to make this place your home. You don’t want to miss out. Goo Goo Dolls: Long Way Home Summer Tour with Phillip Phillips Klipsch Amphitheater at Bayfront Park “Iris.” “Slide.” “Name.” An American Idol who’s going to make this place your home. You don’t want to miss out. Green Day - Revolution Radio Tour So what you’re saying is... September should never end? Green Day - Revolution Radio Tour Perfect Vodka Amphitheatre So what you’re saying is... September should never end? Bryan Adams: Get Up! Tour 2017 We’ll all be in “Heaven” in the summer of ‘17. Bryan Adams: Get Up! Tour 2017 Klipsch Amphitheater at Bayfront Park We’ll all be in “Heaven” in the summer of ‘17. 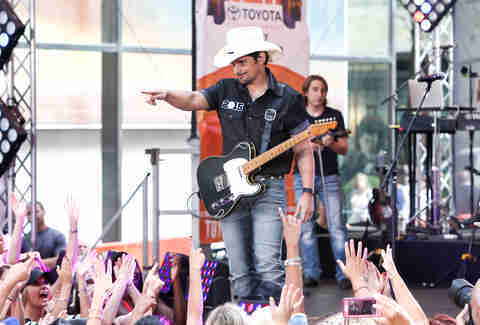 Brad Paisley Tour 2017 Part of the 2017 Country Megaticket, this mega country star is in town to get a lil’ mud on the tires. Brad Paisley Tour 2017 Perfect Vodka Amphitheatre Part of the 2017 Country Megaticket, this mega country star is in town to get a lil’ mud on the tires. Clint Black This ‘90s country icon is back with a tour of newer hits from his On Purpose album. Clint Black Pompano Beach Amphitheatre This ‘90s country icon is back with a tour of newer hits from his On Purpose album. Sammy Hagar & The Circle Michael Anthony, Jason Bonham And Vic Johnson Step up your Tuesday with “The Red Rocker,” a long-time Van Halen bassist, a drummer who casually jams with Led Zeppelin, and the rock guitarist from The BusBoys. Sammy Hagar & The Circle Michael Anthony, Jason Bonham And Vic Johnson Pompano Beach Amphitheatre Step up your Tuesday with “The Red Rocker,” a long-time Van Halen bassist, a drummer who casually jams with Led Zeppelin, and the rock guitarist from The BusBoys. Zac Brown Band Two nights, the same great Grammy Award-winning country band. These guys are too good to sing just once. Zac Brown Band Perfect Vodka Amphitheatre Two nights, the same great Grammy Award-winning country band. These guys are too good to sing just once. Young the Giant: Home of the Strange Tour This indie rock band first put itself on the map in 2010 with hits like “Cough Syrup” and “My Body,” and has since toured with Kings of Leon and Incubus. Young the Giant: Home of the Strange Tour Klipsch Amphitheater at Bayfront Park This indie rock band first put itself on the map in 2010 with hits like “Cough Syrup” and “My Body,” and has since toured with Kings of Leon and Incubus. Jennifer Agress is a freelance writer and music enthusiast who is always ready for a spontaneous road trip, spicy Indian food, and a sunny spot where she can put her toes in the sand. Follow her on Twitter.